I love recipes that have some tradition behind them, it makes the meal that much more satisfying. I think oatmeal is my comfort food! I haven't been eating it much lately but anything warm, sweet and healthy to boot is comforting in my book. Favourite comfort foods of mine include popcorn and split pea soup. 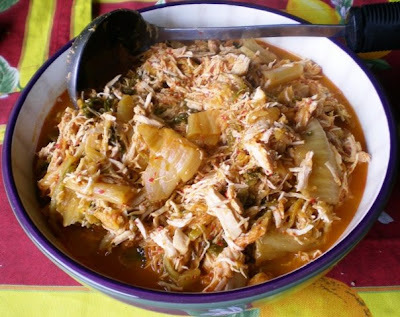 kimchi chicken? such a great idea! never thought about it! 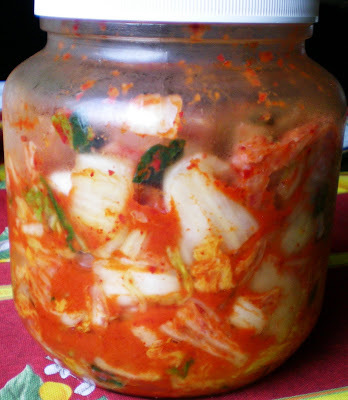 Your mother in law makes kimchi? is she korean? My favourite comfort meal would have to be roasted chicken with carrots and onions (from the same pan). I've never heard of that. It look delicious! My favorite comfort food? Probably chicken and dumplings. I finally found a recipe that tastes a lot like Cracker Barrel's recipe! I love kimchi jjigae! N makes a great version. Yours looks tasty. Yes, my mother-in-law is Korean. 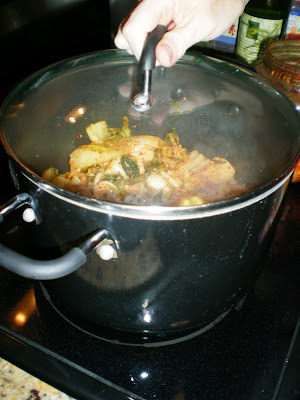 Your kimchi stew looks excellent, great comfort food! My best comfort food is always some kind of stuffed pasta like ravioli. That looks delicious, definitely comfort food! :) Mine would have to be pasta! I'm a total gooey cheesey person when it comes to comfort, oh and pasta. your Kimchi dish looks DELISH! Is it spicy? it looks like it could be. Mac and cheese for sure! When in doubt, I'm eating mac and cheese. Oh YUM! That looks fantastic. My favorite comfort food has to be cheeseburgers. They always hit the spot for me. I like them with Swiss cheese and mushrooms, on a whole wheat bun of course! I need to make me some kimchi. That's one thing I don't have in the fridge at the moment. Looks good, Andrea!! My comfort food would have to be bread. I could eat a slice of baguette or any sourdough and I'd be happy. You know, I am going to have to try kimchi- I've never had it before...i'm not a huge cabbage fan, but I need to give it a try! i love, love, love cultured veggies. for comfort food...i'd have to say anything that is oozing cheese. oh how i love kimchi!! looks so delicious! Oooh sounds and looks delicious- I've never had that before! yum that looks amazing. i haven't been able to find any kimchi in koreatown without any MSG added....it gives me a headache. have you? I gotta say I think that looks absolutely delicious. For me, comfort food is a big plate of pasta and sauce with grated parmesan cheese. I rarely eat this because I need ALOT of it when I eat it. That's just the way it is. I love any Korean stews as comfort food, including deunjang (miso) jjigae and miyuk gook (seaweed soup). Yuuuum! 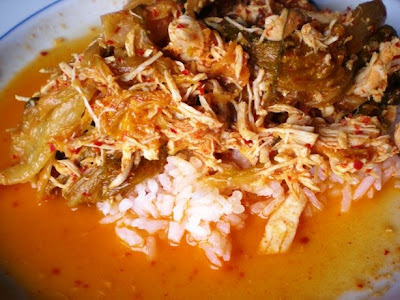 Mmmm..... kimchi stew is comfort food for me too. Also, Korean Soon tofu. I like to eat them during Winter. 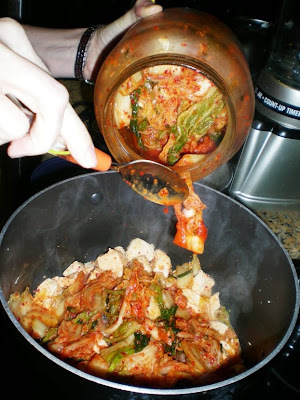 I've never heard of Kimchi... but it does look really good!! My fave comfort food... chili I think! With some melted cheese on top and toast on the side! Yum!! Kimchi is my newest "OMG YUM!" food! A friend introduced us and I've been HOOKED. But as for comfort foods...oatmeal with peanut butter is among the healthiest. My mom's roast beef is another. Less healthy would have to be spaghetti with meat sauce, or ice cream. Cooold comfort! Mmm, I bet Jason would love this! He lived in Korea for 2 years and loves the food.